Mortgage customers who have previously been unable to switch to a better deal despite being up to date with their payments, commonly known as mortgage prisoners, could soon be able to do so. The Financial Conduct Authority (FCA) has proposed changes to how lenders assess whether or not a customer can afford the loan in a report into its Mortgages Market Study which have been widely welcomed by the home lending industry. 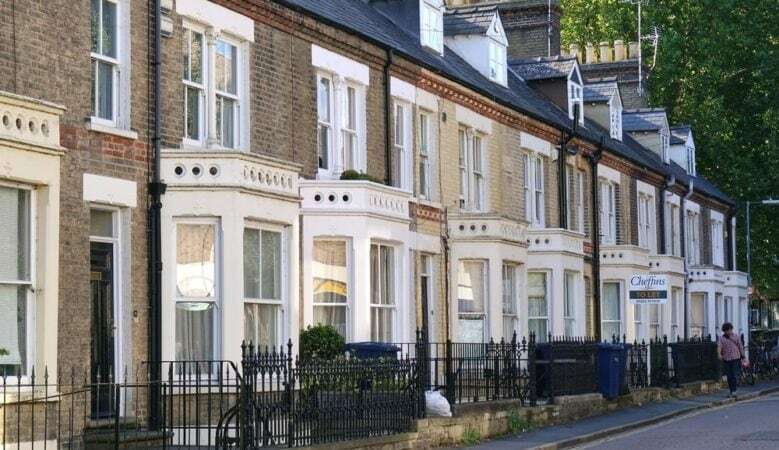 It says that while the mortgage market is working well in many respects, it falls short of the FCA’s vision in some specific ways and it has set out how new lending rules can be designed to help the market work better. It is seeking to speed up more widespread participation by lenders in innovative tools to help customers more easily identify what mortgages they qualify for and is proposing that the Single Financial Guidance Body (SFGB) extends its existing retirement adviser directory, currently under the Money Advice Service brand, to include mortgage intermediaries to help customers make a more informed choice of broker. A consultation will be launched in the spring on proposals to change mortgage advice rules and guidance to help remove potential barriers to innovation and there will be further, in-depth analysis to understand more about those customers that do not switch mortgage to inform any necessary intervention. ‘The market is working well for many with high levels of customer engagement and competition. The package of remedies we are taking forward will benefit consumers by encouraging innovation and making it easier for them to find the right mortgage,’ said Christopher Woolard, executive director of strategy and competition at the FCA. ‘We are particularly concerned about consumers who are commonly referred to as mortgage prisoners who are currently unable to switch. That is why we are acting now to help remove potential barriers in our rules. These changes should make it easier for consumers to get a more affordable mortgage,’ he added. The FCA has proposed that, for those customers who are up to date with their mortgage payments, and seeking to move to a more affordable deal without borrowing more, active lenders will be able to undertake a more proportionate assessment of whether they can afford the new loan. The FCA is particularly concerned about customers of inactive lenders and entities not authorised for mortgage lending as they are unable to move to a new deal with their existing lender. To ensure these customers are made aware of this change, inactive lenders and administrators of entities not authorised for mortgage lending will be required to review their customer books to identify and contact eligible customers. Jackie Bennett, director of mortgages at industry body UK Finance, said that lenders have been working closely with the regulator, responding to the challenge of mortgage prisoners with a voluntary industry-wide agreement which has already seen firms contact over 26,000 customers. ‘The regulator’s offer of more flexibility around affordability testing is encouraging. This will help those customers who are up to date with payments or who are not looking to borrow more. Requiring inactive lenders and administrators of entities not authorised for mortgage lending to review their existing customer books to identify and contact eligible customers is a positive step,’ she explained. ‘However, even under these proposals, there are thousands more customers with inactive lenders or unregulated owners that the regulated industry would be unable to help. We therefore call on the Government to work with the FCA to ensure that all customers, regardless of owner, have full regulatory protections to ensure they are treated fairly,’ she added. Kate Davies, executive director of Intermediary Mortgage Lenders Association (IMLA), also welcomed the report and said the industry is encouraged by the FCA’s view that a market solution is the best way of helping consumers to find the right mortgage. ‘There is currently considerable activity in the market to develop new ways of delivering this, and whilst some of these have yet to prove their effectiveness, we believe that competition and innovation is best driven proactively by the market, rather than reactively in response to regulatory intervention,’ she pointed out. ‘Whilst there is scope for giving consumers more information on which to base their choices, a balance must be struck between what it is possible to provide and what is likely to be helpful to consumers,’ she added. Martin Lewis, founder of MoneySavingExpert.com, which has been calling for change for over four years, said he is pleased that there is recognition that while there needs to be affordability tests, reform is needed. ‘In a nutshell the FCA is supporting our proposals. It is suggesting that the affordability test be changed so that as long as you’ve been meeting your mortgage repayments for a year, then provided the new deal you’re applying for is cheaper, in other words, it has lower interest, and the repayments are lower, then you will be deemed to have passed the affordability test,’ he explained. ‘We hope this proposal is enacted. It will still need lenders to play ball, but I’m hopeful that will happen, because they’ve often told us they find the current rules frustrating too. We need to make sure those with existing debts can engage with a competitive market, releasing the pressure valve on their finances. If we get this right it’s a triple win: it’s better for the individual, the economy and lenders,’ he added.